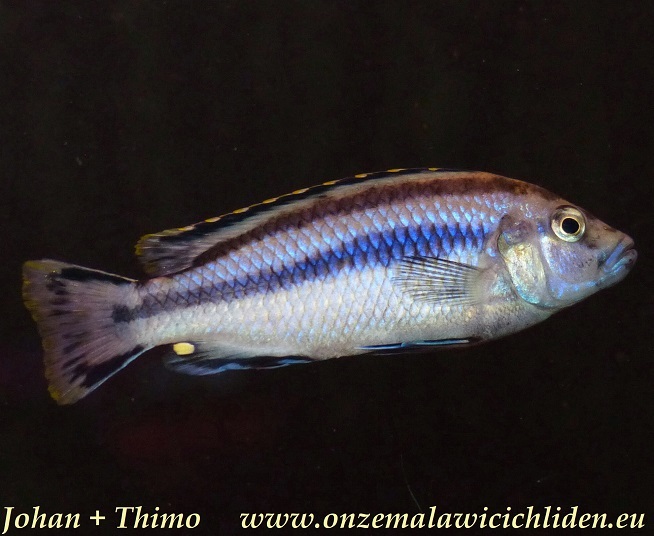 Melanochromis loriae (formerly known as Melanochromis parallelus) can be found along the rocky coast of the northwestern part of the lake and also at Chizumulu Island and Likoma Island. 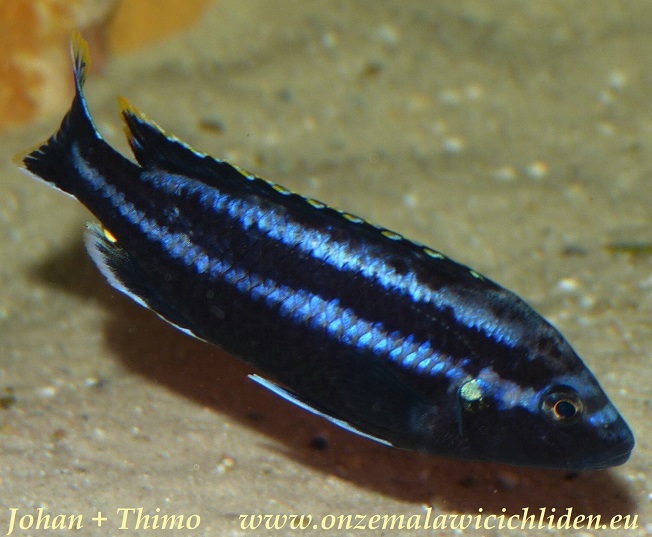 This variant can be found in the neighbourhood of Linganjala Reef, northwestern of Chizumulu Island. 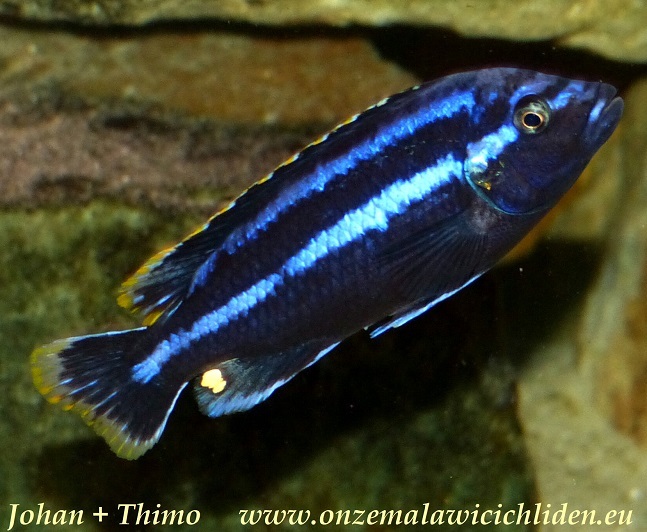 The males of this species are coloured black with lightblue stripes in the length of the body. 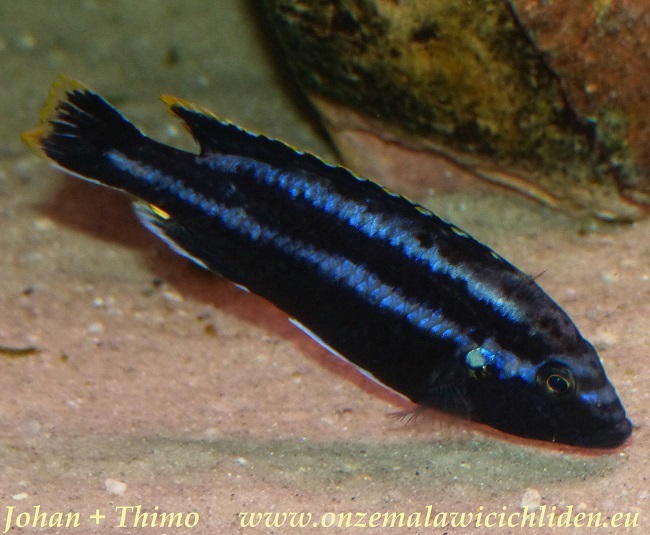 The females however have a creamy body with black stripes in the length of their body. 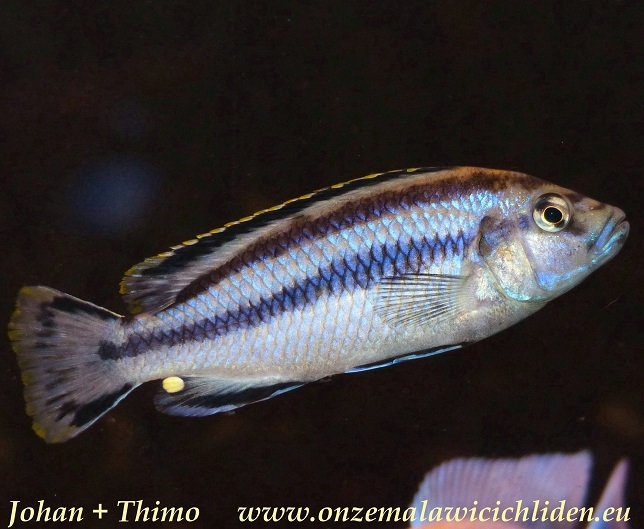 Melanochromis loriae is living in Lake Malawi in a rocky area where they defend their territory fiercely, especially in mating-season. They have to be kept in a large aquarium with lots of hideouts. 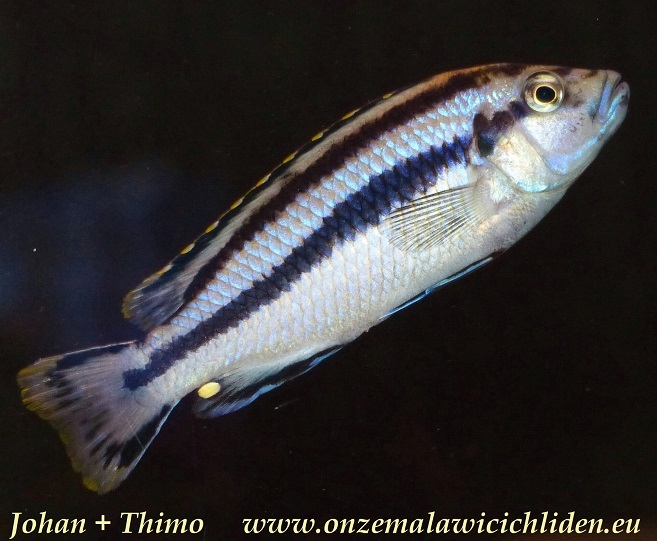 They can be repulsive against other fish of their own kind, they leave other fish alone. 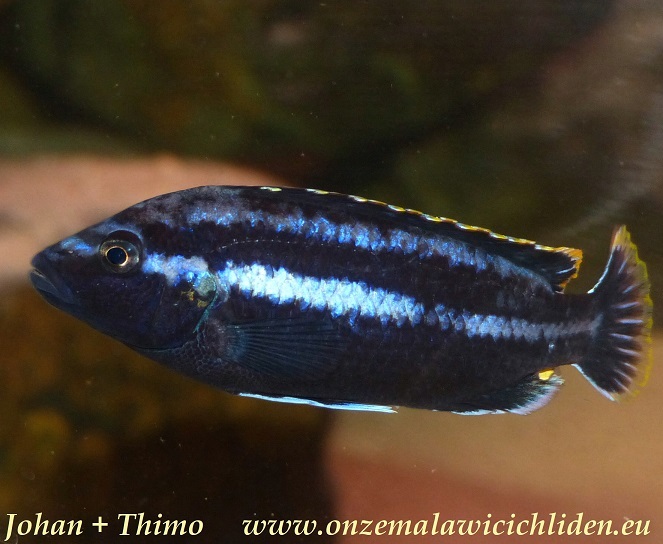 During a period of about 2 years - from 2015 up to 2017 - I (Thimo) had a group of one male with three females in my aquarium and I have to say they were really attractive fish however I sold them because I wanted to keep some other species. 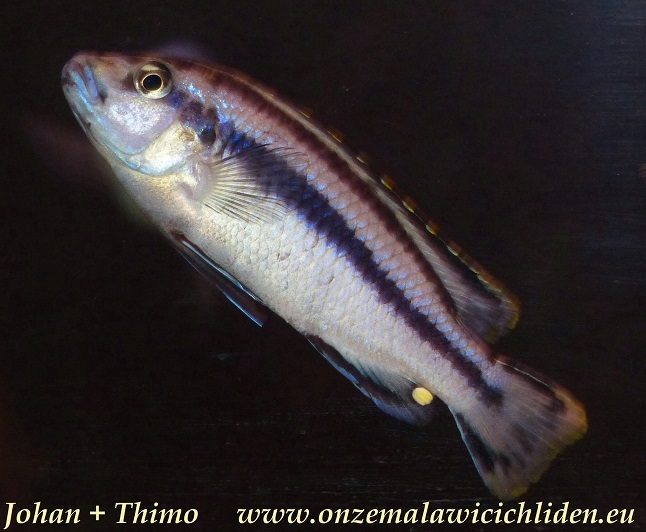 In the lake the males of these species can grow to 12 cm, in the aquarium however they can grow taller because of a good feeding. The males can then grow to about 14 cm, females grow to about 9 cm. 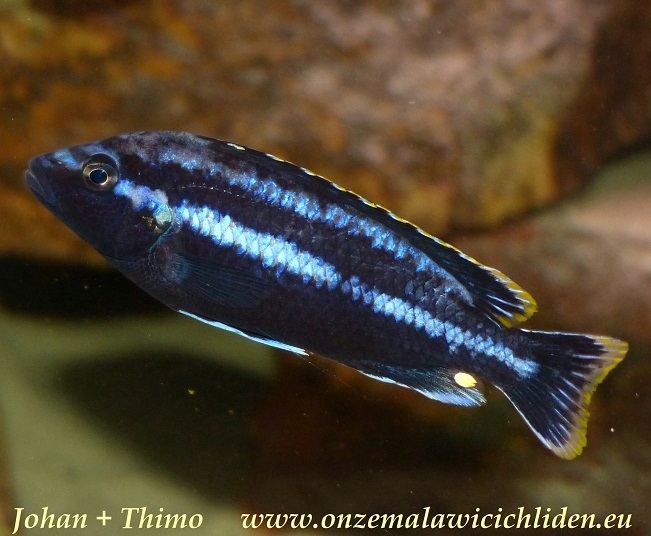 The male in my tank was about 12/13 cm. They are easy to keep and they will have offspring very fast, if they are kept under the right conditions. I've had lots of youngs from them. 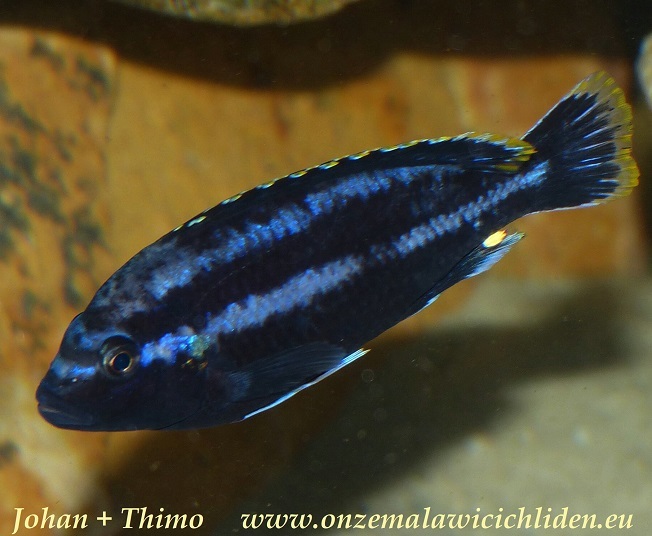 This species lives in an environment which is rich of algae, so you have to feed it things like spirulina or peas.